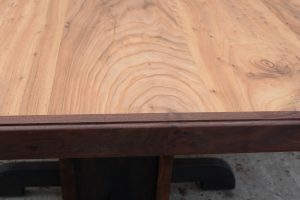 We recently built a gorgeous handcrafted dining table for some great friends of ours. 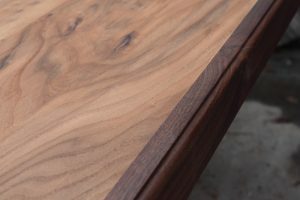 The top is made of Elm with a Claro Walnut border and 1/4″ ogee edge. 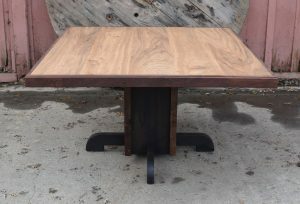 The base is made from Oak and stained with an ebony stain and is accented with Claro Walnut Trim to compliment the top. 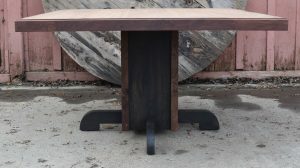 The table will comfortably sit 8 people.